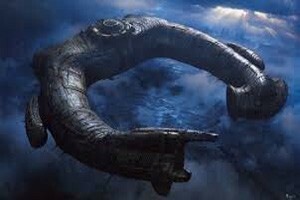 Prometheus is the latest venture back into the science fiction movie world. Many people had an assumption of this movie being something like a pre-Alien one. Well, it is not. This is neither an Alien movie nor a horror movie and one can even argue on the fact this being a god movie at all. The confusion on the plot of the movie is the biggest shortcomings of the movie. Or even if it knows the exact message it wants to convey, if failed to do so due to some reason or the other. The movie came as something making the audience believe that it is going to be another big hit from Scott as that of the masterpiece movie, Alien in 1979. Get more information on Alien 1979 at http://edition.cnn.com/2016/03/07/africa/bolaji-badejo-alien/. As soon as you see the movie, you can tell right away that it is not progressing in that direction. As the movie was progressing, it started creating more confusion due to the sudden erratic behavior of the characters and the plot point coming and going without any substantial connection with the rest of the movie. Click here to know more about Prometheus. But there are certain things which are good about the movie. The film is beautiful no doubt and the visuals of spaceships and other are top notch. Ridley Scott has put in great effort when it comes to cinematography and this is clearly justified in the movie. It is an amazing experience to watch it in high definition. The cast is also very good with the like of Charlize Theron, Idris Elba and Noomi Rapace. So if you are a fan of a visually rich film then Prometheus will make it to your collection. For other, if you can manage with the cobbled plot along with the erratic behaviors of the characters at times then you will be able to appreciate certain other parts of the film.